Looking for a trusted Local Search Expert? Request a free consultation today. When customers are out there, making decisions about where they want to spend their hard-earned money, do you know what one of the key deciding factors is? It’s estimated that 90% of Americans shop with local businesses at least once a week and as many of 42% of them visit more frequently. 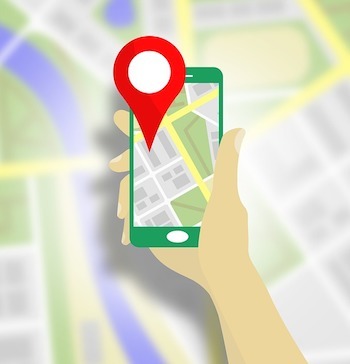 This means location is important, and it’s the exact reason why growing businesses need to optimize local SEO to bring in the high-quality traffic that turns into paying customers. Maybe you’ve heard of search engine optimization, often referred to as SEO. SEO is a way of building up your digital presence to rank higher in organic (unpaid) search results. SEO isn’t just one thing, but a collection of strategies that are combined to produce results. Local SEO does the same thing but is directed towards becoming more visible to your local audience, rather than a broader, more general one. Local SEO requires specific, geo targeted tactics that enable your business to rank high in search results when someone is looking to do business locally. This includes implementing a variety of strategies such as website optimization using advanced analytics, keyword research, a targeted content strategy and more. When all this comes together, local search engine marketing boosts your online search rankings and brings quality traffic to your door. As a smaller business, you’re always looking for ways to improve yourself, and this includes building a strong digital presence. The thing is, everyone else has this same goal and it’s becoming more difficult for local businesses to stand out in a crowd without a targeted digital strategy to get noticed. The days of word of mouth, foot traffic and mailers alone being enough to grow your local business are long over. Today, most people turn to the internet when they want to locate a local business and learn more about them. By leveraging local SEO, you’re making sure that it’s not only easy for them to find you, but that you’re providing something of exceptional value before they even walk through your door. The short answer is that local SEO is too important for your business to just leave up to chance. As much as we wish it were the case, there isn’t one magical formula to success with search engine marketing. Each local business is an individual, and the approach that works for the shop down the street, or even your competitors isn’t necessarily going to work for you. You need a local strategy that’s targeted, focused and geographically specific. At Knowmad Digital Marketing, we’ve learned to speak the language of local SEO for you. We dig in deep and learn about your existing customers and the local traffic that you want to attract. We learn about what makes you exceptional and develop a strategy that gets you ranked in local searches. Honestly, we know that on the surface it all looks easy. But, too many businesses fail when they think that local SEM is nothing more than optimizing a few keywords and directory listings. You need a strategy that presents your business as authentic and trustworthy, not one that’s spun around cookie cutter SEO tricks. The bottom line? We’re here to help because we know you don’t want to spend the time or resources on a strategy that’s anything less than successful. 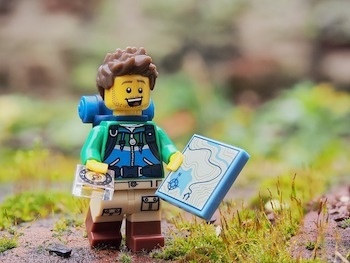 We dig deep into local SEO because it’s one of our passions. The fact is, we love seeing local businesses succeed. While we work with companies across the United States and Europe, there’s no greater feeling than looking around our communities and knowing that the hard work and dedication of local business owners is paying off, all with the help of SEO. Because of this, we take our commitment to building your local brand very seriously. We start by customizing our approach to you. This means that we start at ground level and build up a local SEO strategy based on understanding your customers. While there are consistencies in the buyer’s journey, we know that among industries there are differences that really matter. We use local SEO techniques that put your business in front of them from the first time they do a local search until the moment they’re ready to walk through your door. For all that we can accomplish for your business with local SEO, there’s one thing that we don’t do, and that’s take guesses. Our team of digital marketing experts comes to you with decades of experience growing local businesses just like yours. We didn’t’ get where we are or achieved so much success without knowing the importance of leveraging data and analytics to fuel informed decisions. Building a local SEO strategy that spurs growth for your business means diving into advanced analytics about your industry, local market and the consumer behaviors that really matter. We also take a look at the details other SEO companies might miss, like the value of building your online reputation through reviews and quality local links. From local website optimization and lead tracking to closely monitoring the performance of your strategy, we leave no detail to chance. Every day that passes where you’re not leveraging the power of local SEO is a day that you’re missing out on opportunities for growth. Once a potential customer finds a competitor’s business instead of yours, it becomes much harder to pull them away. Local customers want to support your business, and there’s no excuse for making it difficult for them to do so. At Knowmad Digital Marketing we know that time is too precious to waste. We get to work immediately, building a digital image that increases your visibility fast. Before you get any further into your work day, think about the customers you haven’t yet met. At Knowmad Digital Marketing, we can introduce you to them. All you need to do is contact us today to talk about how a local SEO strategy is going to do amazing things for your business. Talk to us about your search engine marketing by requesting a free consult. One of our team members will contact you within a few business hours to schedule a free, no-obligation consult.